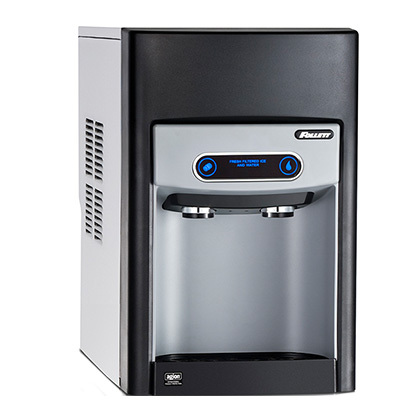 Giving soft, chewable, purified ice; the sleek, attractive 7 Series and 15 Series ice-only dispensers are available from Pure Water Resources in both free standing and countertop models. Additionally, the 7 Series is available in undercounter models that can easily replace open bin undercounter ice machines that require scooping by hand. All models have sanitary dispensing. These dispensers can produce 100 lbs of consumer-preferred Chewblet® ice per day. The 7 Series, which holds 7 lbs of ice storage, is ideal for a 25-30 person work group while the 15 Series holds 15 lbs of ice storage and is ideal for serving up to 50 people. A commercial ice machine that does not require additional maintenance charges? That’s right! All service is included in the low, monthly rental fee. 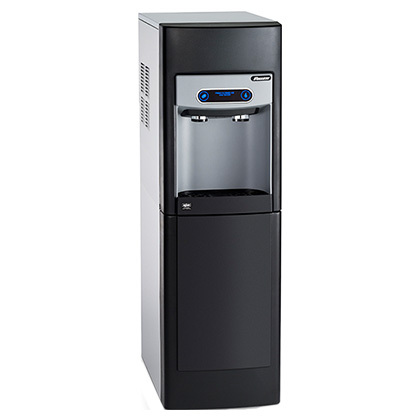 15 Series is 22.5″ tall, making it the industry’s most compact design for an ice and water dispenser that stores 15 lbs (6.8 kg) of ice. Capacitive touch eliminates direct contact with ice and minimizes potential for cross contamination. No more dirty fingers digging into your ice bin. 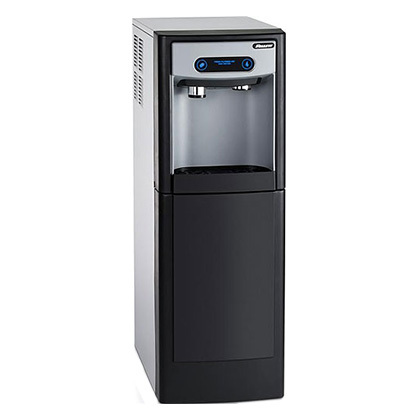 The 7 Series and 15 Series provide the lowest energy and water usage of similar capacity ice machines. The modern stainless steel interior with accent trim offers a stylish design that complements any decor. Agion® anti-microbial treatment of critical components to minimize bacteria and biofilm growth on treated surfaces. Using Reverse Osmosis to purify your water will make your ice clean, healthy and delicious with every push of the button! 7 Series and 15 Series are designed for commercial use. 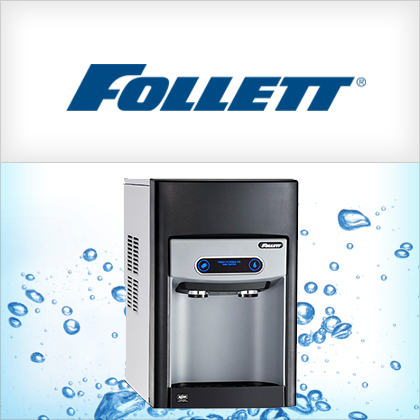 Follett does not currently offer service for installation or repair service in residential applications. All 7 and 15 Series ice-only dispensers with an integral air-cooled ice machine producing 100 lbs (56.7 kg) of popular Chewblet® ice daily are now ENERGY STAR® qualified. Ice Machines from Pure Water Resources produce ice from water that has been purified! Purified ice??? YOU BET! Clear, clean, delicious, chewable ice. 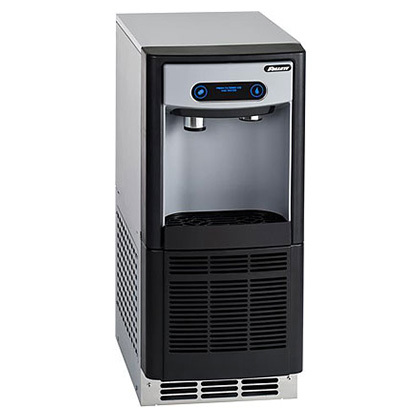 If you love soft drinks, juice or just a really cold glass of water, you will LOVE the ice machines available from Pure Water Resources. Call us today for information and a free trial!